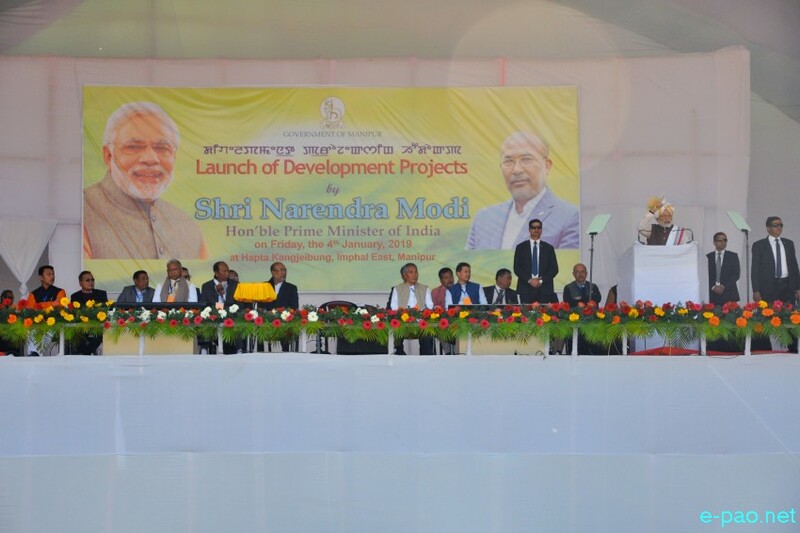 Prime Minister of India, Narendra Modi at Hapta Kangjeibung, Imphal East on 4th January 2019. Manipur CM N Biren presented a painting and a special turban similar to the one worn by king Rajshree Bhagyachandra. Deputy CM Y Joykumar presented a traditional shawl (Leirum Phi), PHE Minister L Dikho presented a bouquet . Karam Shyam presented a Pena, indigenous musical instrument.